Towards the end of the year, many people’s thoughts turn to the New Year and planning for future. For some this could be giving up smoking, improving their fitness levels or diet, but for others their biggest concern is their hair. Why not use this period to get a head start on your resolutions with a hair regrowth treatment plan? 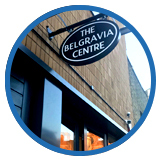 The Belgravia Centre’s two London hair loss clinics are open over the festive period for new and existing clients, so why not book an appointment today? Contact us to arrange your free consultation or clinical therapy session ready for the New Year and new regrowth. Our City of London clinic is conveniently located opposite Liverpool Street Station, whilst Belgravia’s Central London hair loss clinic is based a five minute walk from Victoria Station. 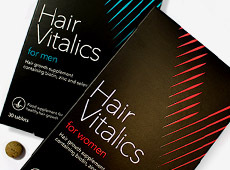 You can also buy Belgravia’s exclusive, premium hair supplements – Hair Vitalics for Men and Hair Vitalics for Women – at any time over the holiday season from the dedicated website and online store at hairvitalics.com. Orders placed during this time will be sent out either the same day they are received, or on the next working day. Please be aware that, whilst your order will be sent out in a timely manner, as with all postal services over the Christmas period, packages may take slightly longer to be delivered than normal. Please note: the last appointment of each day starts one hour before the closing time listed above. We resume normal operations at both locations from Wednesday 2nd January 2019 onwards. If you usually visit Our City of London clinic opposite Liverpool Street Station and would like to attend our Central London clinic five minutes from Victoria Station – or vice versa – we can arrange this for you, please just let us know. Also, please be aware that due to the Christmas period postal service, we are only able to send out treatments on the following dates so if you are not scheduled for your next delivery but think you may run out over the holidays, please let your Treatment Advisor know as soon as possible. We recommend you order your medications at least one week in advance of when you need them due to potential postal service delays over the Christmas period. We recommend ordering any medication you may need for over the holiday period by no later than Friday 14th December 2018. The last date for treatments to be sent out to clients before Christmas is Friday 21st December 2018. Following the UK Bank Holidays, postage will resume on 27th, 28th, 29th and 31st December. There will be no postage after that until 2nd January 2019 when our normal service resumes. Please note that due to the Royal Mail Christmas service and seasonal delays packages sent during this time may take longer than normal to be delivered. This includes ‘Next Day’ and ‘Special Delivery’ services which we have been informed can take up to 48 hours during the festive season. Please be aware that, because of this, packages sent between 21st and 30th December may not arrive until 2nd January.